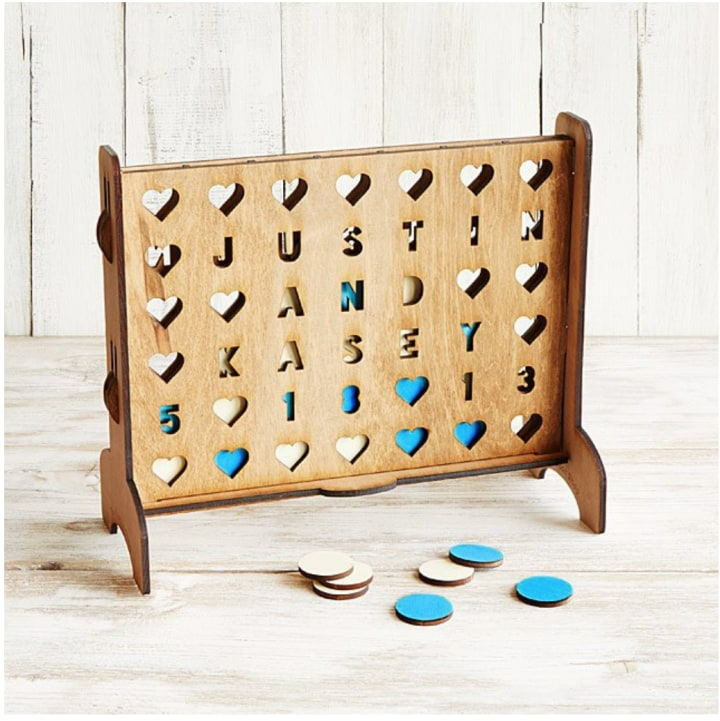 From ginkgo trees to personalized Connect Four, these wedding gifts will make any couple smile. Peak wedding season is around the corner. 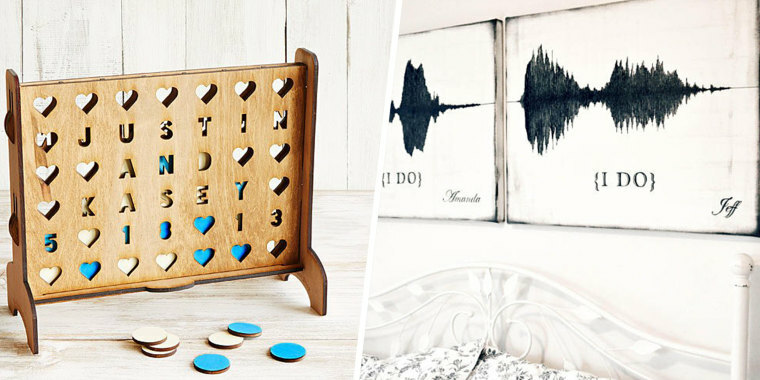 So, we asked the hosts of some of our favorite HGTV shows for their favorite wedding gift ideas. 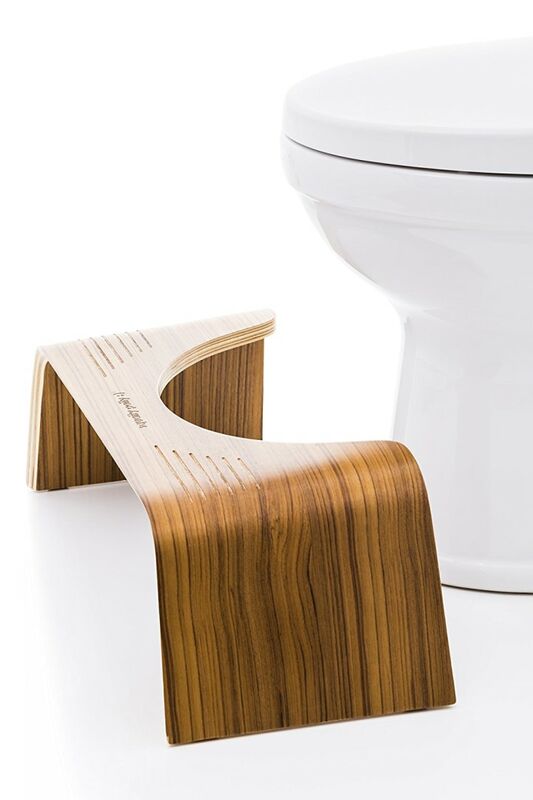 From monogrammed robes to a squatty potty (yep, that tool to help people poop! ), here are some of the unique things the stars are gifting their friends and family. Unfortunately Curtis's pick is sold out on Pottery Barn. You can get a similar look at Houzz and Hayneedle for $57. 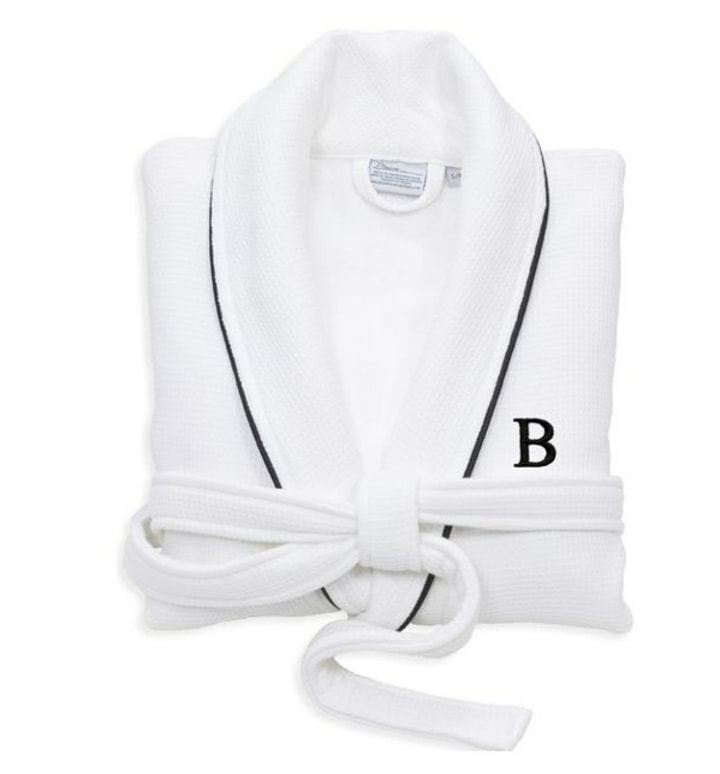 “I’m always looking to add a personal touch to a wedding gift, and nothing speaks to that more than his and her monogrammed bathrobes — great for a honeymoon and a happily ever after. I love that this one is plush, comes with a hoodie and has chic black piping along the edges,” said Curtis. “I married into an Italian family and, turns out, fresh pasta is a big deal! 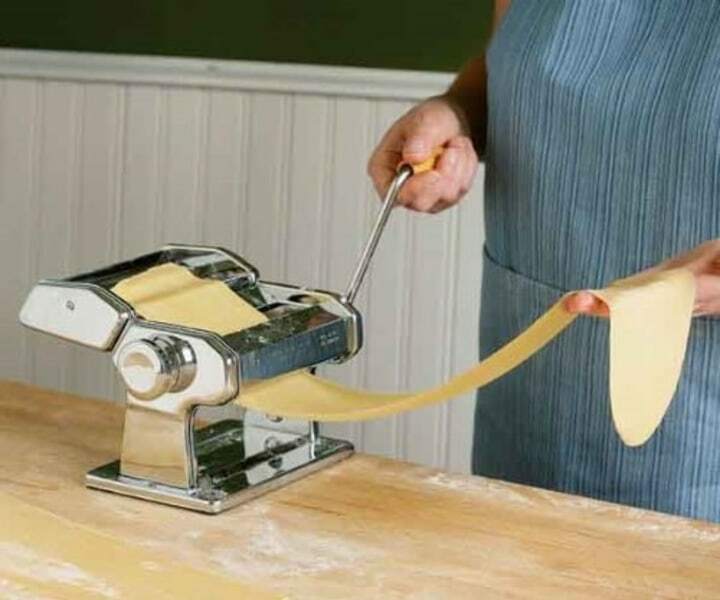 Sabrina and I received one of these as a wedding gift and it has 100 percent upped our pasta game. I had no idea what I was missing. So now, I like to pay it forward. Throw in a nice bottle of red wine and you’re all set with a gift,” suggested McGillivray. “We love to play board games here at the house, and we had friends who were getting married who love game night as much as we do. This was the perfect gift for them and they now display it at their house,” said Soto. “I also love to give this game as a wedding gift. However, for my upcoming wedding to my fiancée Linda Phan, we’re asking friends, family and fans to donate to WE — an organization that provides people in need with clean water, helps build schools and raises millions for developing communities in Africa, Asia and Latin America,” said Scott. 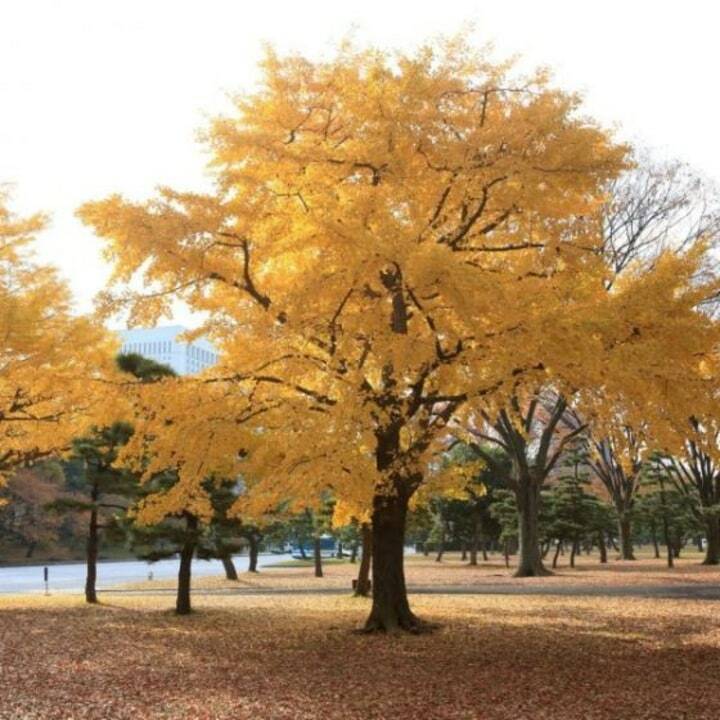 “My favorite wedding gift, for any time of year, is a ginkgo tree. They are symbolic of longevity and good fortune, so they embody the perfect intention for every marriage. You can order one online or purchase one from a local nursery for less than $100. Not everyone has a yard where they can plant a tree, but an arboretum is never far away and will almost always accept a donated tree. Just be sure to call first to make arrangements,” noted Laine. 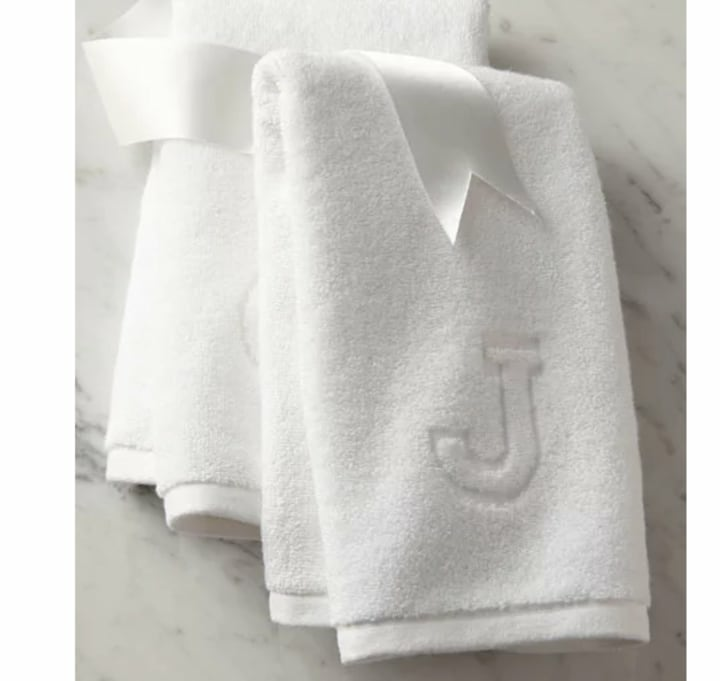 “I discovered these towels because my husband kept stealing mine and one day I jokingly said, ‘I'm going to get our towels monogrammed so you stop taking mine.’ Then, I realized it was actually a great idea! I did it for us and I now do it for my friends,” said Nayak. “I love giving personalized gifts, but they’re often hard to find on a budget. 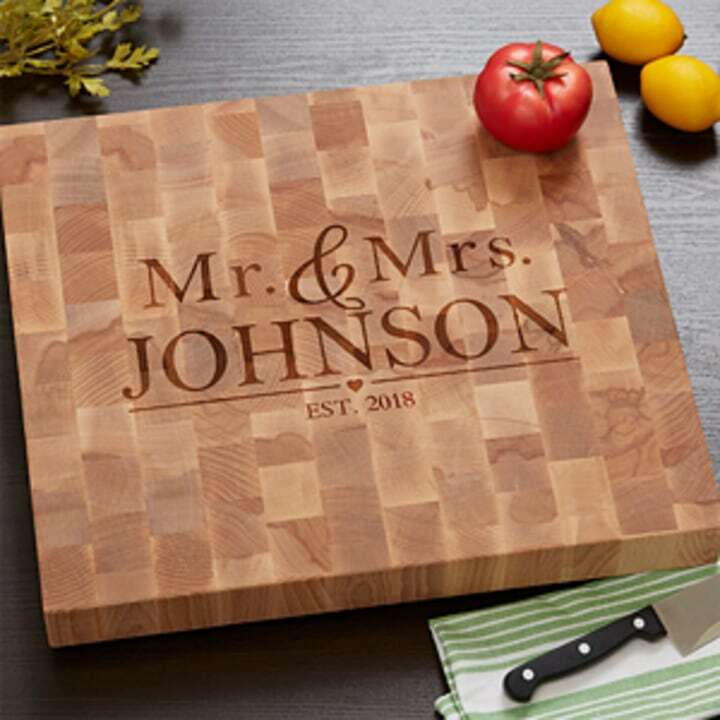 A cutting board is something the happy couple will use forever, and the personalization will make them smile every time they cook in their kitchen,” suggested Brooks. There are tons of personalized cutting boards on Amazon for around $50 or less. We love this best seller for $52. “These gorgeous cheese boards make for a special wedding gift. No two are the same, because they’re hand-hewn from natural agate. 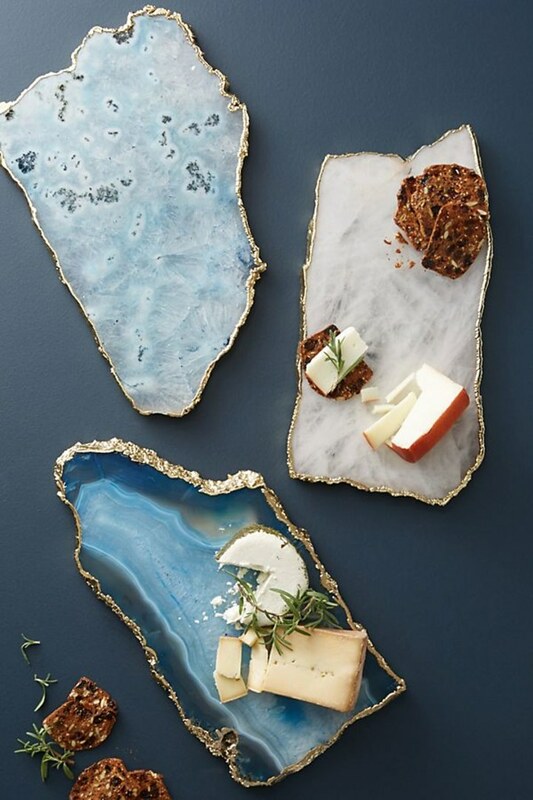 I love crystals and this is a great way to incorporate them into your home. They really are mini pieces of art for the kitchen!” said El Moussa. If you want to go a bit smaller, we love these colorful agate coasters for $64 from Uncommon Goods and these white ones for $24 from Amazon. “So, my husband and my go-to wedding gift is a Squatty Potty — a device that raises your knees above your hips to mimic a natural squat — which makes going to the bathroom easier. It's never on the registry. But, it's life changing and something everyone can benefit from. It also gets a good laugh when opened. You can go with the standard plastic white model to blend with your toilet or you can fancy it up with the bamboo version,” said Starsiak. "As someone who loves to cook and entertain regularly, I find I never have enough serving utensils, and I cherish the really stylish ones. 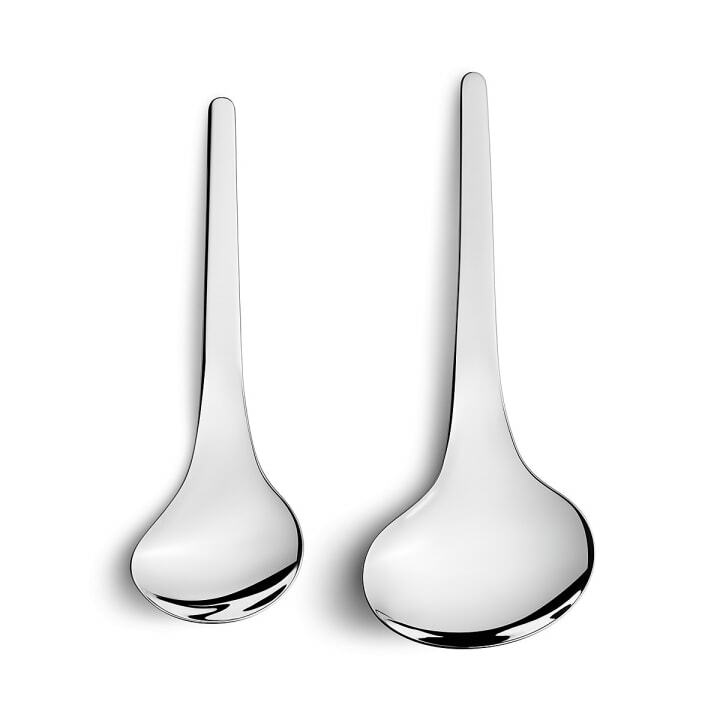 This company has been known for producing functional and beautiful pieces since 1904, and these stainless steel ‘bloom servers’ are sure to be used often as they blend everyday essentials with beautiful design,” said Richardson. “The best gift is a box of board games! 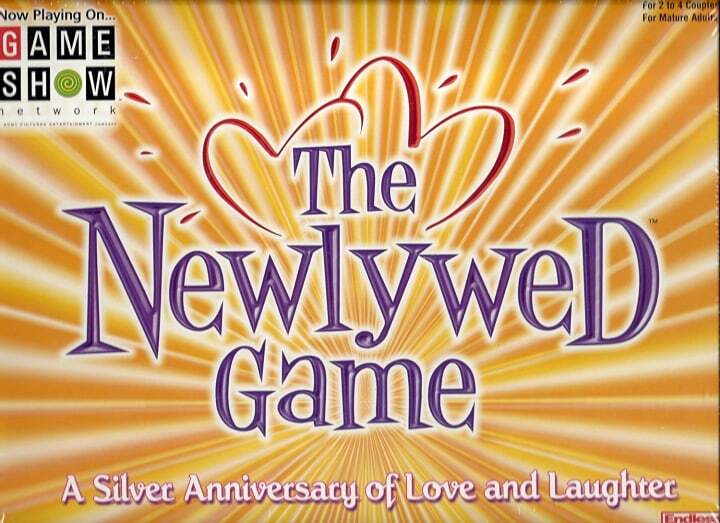 The Newlywed Game, Scrabble, Pictionary, Mad Gab, Monopoly, Charades — it’s important to keep the fun in a marriage. My hubby and I have been together for 14 years and we often have family or adult game nights. 'A family that plays together stays together,' is what I say! Plus, it's always nice to have an inventory of great board games in the house for company,” noted Sherrod. 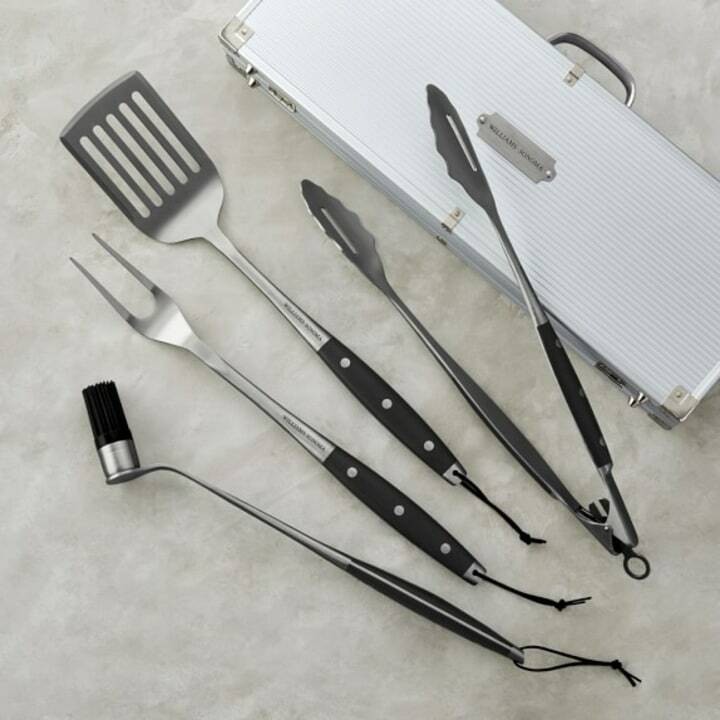 “I love when people get outdoors and enjoy their outside spaces, so what better wedding gift than a top of the line grilling set!” said Lampton. For something a bit more affordable, this Cuisinart grilling set is 45 percent off right now on Amazon and is only $32. We also love the idea of pitching in with a group and getting the couple a nice new grill. “Regardless of price, I like to give gifts couples wouldn’t buy themselves. They’re often a bit more decorative, but, most importantly, they should feel very special — if not sacred, like marriage. 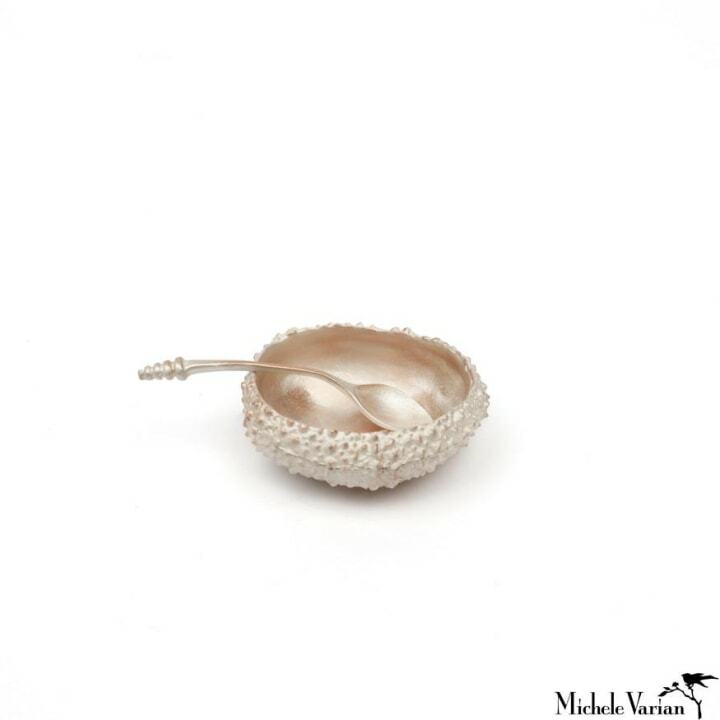 For a little over $50, this salt cellar and spoon, cast in pewter and plated in layers of precious metals, makes for a decorative salt and pepper moment on any table or buffet. This designer is one of my go-to shops when I’m in New York City. She always has what I didn’t know I needed!” said Gorder. “I always paint a painting for the happy couple. But, if you’re not artistically inclined, I love this as a gift idea! 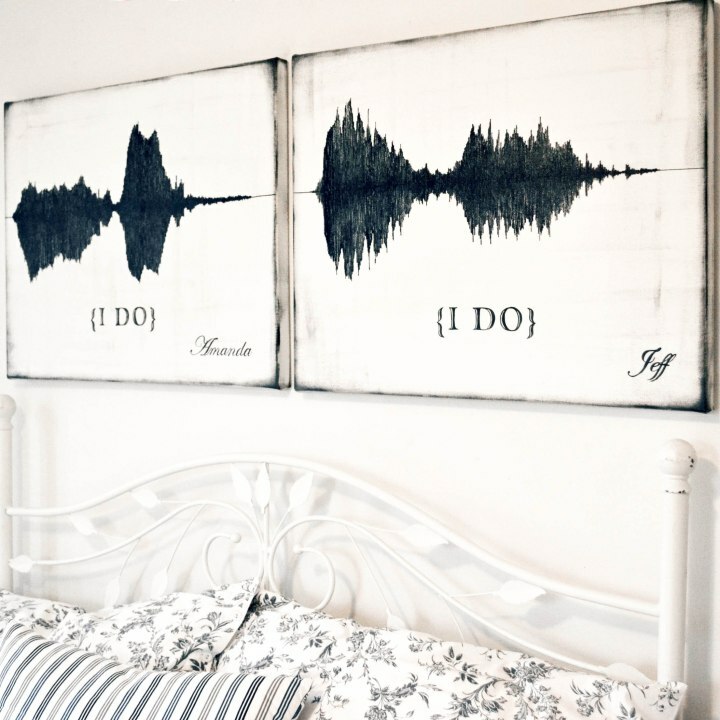 It’s sound wave art, a modern way of using sound to capture wedding vows. Yes, it’s over the $100 price point, and yes, there are other sound wave art options for less than $100 ... but nothing is as cool as this one!” said Bromstad.